Do you love waking up with the smell of coffee mixed with fragrant sizzling crunchy bacon breakfast on the table? Worry no more! This all-day breakfast hub in Maginhawa serves the right amount of pork that’ll make you drool. Located at 99 Maginhawa St., Teacher’s Village, Oinkster can be considered as the best go-to place for pork lovers as it offers an array of meals that’ll suffice your all-time pork cravings. If you don’t like to venture into the heavy greasy meals, there are sides you can try to begin your Oinkster journey such as the all-time favorite french fries, nachos, and onion rings. 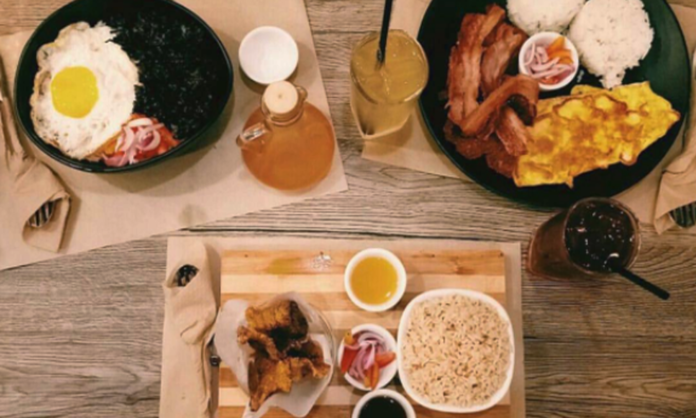 Good news for all people who go crazy over bacon, Oinkster serves unlimited bacon meals for only P299. Also, it provides meals that can be consumed whatever time you want it. If you like breakfast waffles be eaten at night, Oinkster will serve it for you. Aside from the food, you can also enjoy taking selfies at the artsy decor walls of the hub. Open daily from 7AM until 10PM, Oinkster adds up to the long list of food restos in Maginhawa you should try when you plan your next food trip. Of course, it’s best to pig out at the right place!